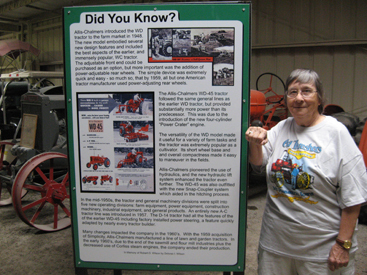 The mission of the Midwest Old Threshers in Mt. Pleasant, Iowa is "to preserve our agricultural heritage through education & entertainment". Our goal is to assure that future generations have the opportunity to experience the distinct culture, history, ethnic and geographic characteristics of Midwest rural communities. 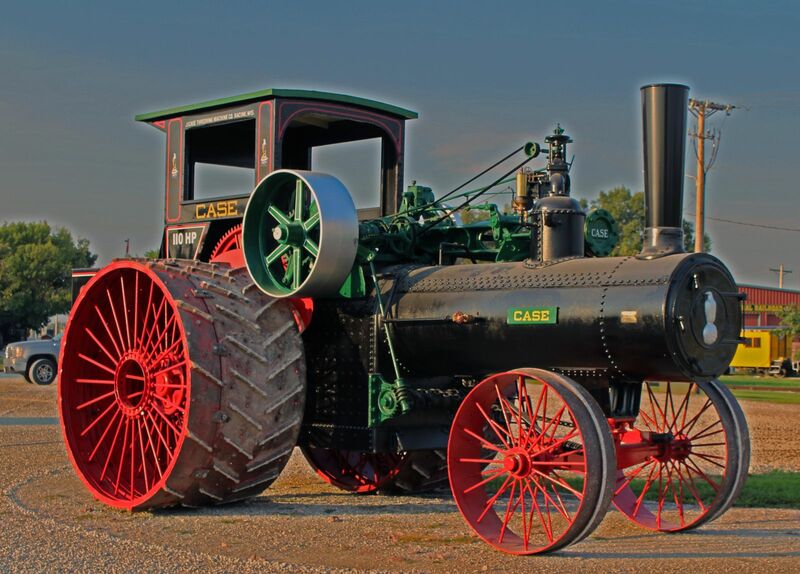 For over 60 years, Old Threshers annual five-day event celebrating life and work in the rural Midwest has been one of Iowa's premier tourist attractions. 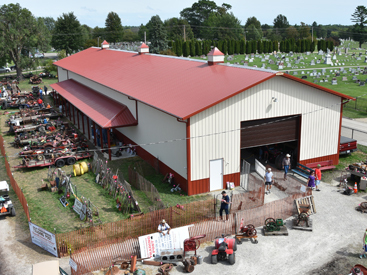 Under the dynamic leadership of Board and staff, Midwest Old Threshers has grown to be the largest of its kind in the country, expanding its original annual event to over 130 acres of grounds and buildings. The leadership of Old Threshers has determined that simply preserving the past is not enough. In recent years, the organization's growth and additional activities throughout the year have added to the development of Old Threshers. In 2018 the Bussey Doll Collection got a new home inside of Museum A in the New Glenna Voyles Doll House. Campground P and K row had electrical upgrade. New Multi-Purpose Storage Building East of the carousel built to hold ground trains and other equipment but used during the show as the Trading Post. The old camper check-in building demolished and a new heated building built to replace that for the usage of the Reunion and Festival of Lights. In 2017 our biggest engine Case 110 went under another overhaul having all the paint removed and new front axle made and nice fresh coat of paint. Campground O row had electrical upgrade. All the ground trains had new axles and tires installed so they would be all matching equipment now. 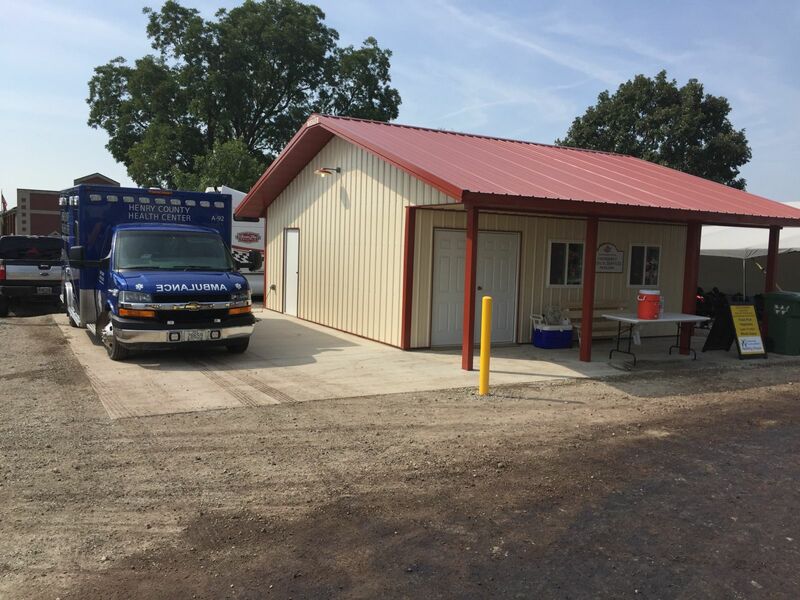 Also, a new EMS building built south of the ground to replace the outdoor tent and Pleasant Lawn School inside had a full restoration. In 2016 our biggest engine Case 110 went under an overhaul having her old flues taken out and NEW flues installed. Also, Pleasant Lawn Schoolhouse in the North Village had all the rotting siding and new siding installed. Continued work done in 2016 was Shower restroom remodels in the steam land. In 2015 Midwest Electric Railway had a lot of track maintenance work done on their railway to make sure everyone has a safe and fun journey around the tracks. 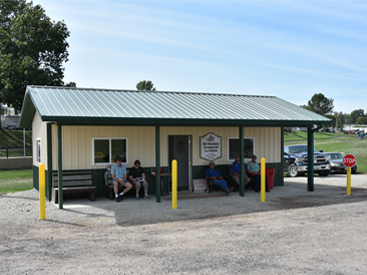 Also new in 2015 was a brand new storage building for overflow equipment that to clear up the museums of seasonal storage. Continued work done in 2015 was restroom remodels. Midwest Old Threshers is a non-profit organization and relies on donations from corporations, foundations, and individuals like you. Old Threshers has undertaken a number of exciting projects over the years to improve the reunion and strengthen its ability to host additional programs throughout the year Halloween activities, and now the Mount Pleasant Festival of Lights. For more information please feel free to contact Midwest Old Threshers 319-385-8937 or email at info@oldthreshers.org. Our goal is to demonstrate that rural communities can continue to be a distinct and lasting element of cultural, economic, and social life in this country. A thank you and confirmation of your gift will be sent to you. The following projects chosen by Old Threshers will help to improve, update, and ensure the growth of the Association. We will gladly discuss any of the projects with you and explain the estimated costs and the benefits for Old Threshers. The project would help repair the trolley cars. This continuous project fixes non-working sites in the campground. We are also expanding and upgrading amperage. This project would add the Heritage Museums to the public address system above or would create a standalone system for the museums. This project would expand the size of the cement stage in McMillan Park by adding to the spaces behind each existing sound wing. This would change the main deck area from 40’ x 50’ to a stage 60’ x 50’. Based on an estimate from a local contractor, this would be the cost to construct a new restroom/shower facility similar to the small facilities located on the grounds. Based on an estimate from a local contractor, this would be the cost to construct a new restroom/shower facility like the larger facilities located in the campgrounds. The following projects are larger capital projects that all have no cost estimates done on them at this time. Tractors, trucks, mowers, forklift are all in need of general maintenance and repairs. We welcome the opportunity to discuss the exciting growth of Midwest Old Threshers with you and identify opportunities for you to lend your critical support to the organization. Please feel free to contact Old Threshers staff with questions at 319-385-8937.